American Woodmark Corporation (NASDAQ: AMWD) shares climbed 32 percent to $131.45. American Woodmark reported purchase of RSI Home Products for $1.075 billion in enterprise value and posted upbeat quarterly earnings. Ambarella Inc (NASDAQ: AMBA) shares jumped 18 percent to $64.03 after the company reported stronger-than-expected results for its third quarter. Foundation Medicine Inc (NASDAQ: FMI) shares climbed 16.4 percent to $61.92 after the FDA approved the company’s FoundationOne CDx Diagnostic test for solid tumors. Nutanix Inc (NASDAQ: NTNX) shares jumped 15.3 percent to $37.83 after reporting a first quarter loss of 16 cents, 10 cents lower than analyst estimates. Sales came in $9 million higher than estimates at $275.6 million. The company issued better than expected second quarter earnings and sales guidance. Marathon Patent Group Inc (NASDAQ: MARA) shares rose 10.26 percent to $4.60. Titan Machinery Inc (NASDAQ: TITN) jumped 10.2 percent to $20.93. Amira Nature Foods Ltd. (NYSE: ANFI) shares climbed 9.5 percent to $4.7601. TapImmune, Inc. (NASDAQ: TPIV) shares rose 8.3 percent to $3.00. Uniqure NV (NASDAQ: QURE) rose 6.3 percent to $16.09. Analysts at H.C. Wainwright initiated coverage on Uniqure with a Buy rating. Global Blood Therapeutics Inc. (NASDAQ: GBT) jumped 5.5 percent to $41.60. H.C. Wainwright initiated coverage on Global Blood Therapeutics with a Buy rating. Diana Containerships Inc. (NASDAQ: DCIX) shares gained 5.3 percent to $7.40. UQM Technologies Inc (NYSE: UQM) gained 5.23 percent to $1.61 following news of a joint venture with China National Heavy Duty Truck Group late Thursday. NoaBlue Apron Holdings Inc (NYSE: APRN) gained 5 percent to $3.14 after the company announced Co-Founder Matt Salzber has stepped down as President and CEO, naming Brad Dickerson as the new CEO. Plug Power Inc (NASDAQ: PLUG) shares rose 4.01 percent to $2.46. Canaccord Genuity initiated coverage on Plug Power with a Buy rating and a $5.00 price target. MER Telemanagement Solutions Ltd. (NASDAQ: MTSL) dropped 22.1 percent to $1.94 after the company posted Q3 results. Genesco Inc. (NYSE: GCO) shares dipped 18.8 percent to $25.25 as the company reported downbeat quarterly earnings. Zumiez Inc. (NASDAQ: ZUMZ) fell 13.8 percent to $18.80. Zumiez reported in-line earnings for its third quarter on Thursday. Universal Technical Institute, Inc. (NYSE: UTI) shares dropped 13.6 percent to $3.18. China Rapid Finance Ltd – ADR (NYSE: XRF) declined 10 percent to $6.70. Pareteum Corp (NASDAQ: TEUM) shares fell 9.4 percent to $0.96. Good Times Restaurants Inc. (NASDAQ: GTIM) shares dropped 8.2 percent to $2.25. Ichor Holdings Ltd (NASDAQ: ICHR) fell 7.1 percent to $26.39. Ulta Beauty Inc (NASDAQ: ULTA) fell 5.3 percent to $209.90. Ulta Beauty reported better-than-expected earnings for its third quarter. The company also saw comps up a whopping 10.3 percent in the quarter but issued weak fourth quarter earnings guidance. Oxford Industries Inc (NYSE: OXM) dropped 4.7 percent to $65.73. Needham & Company downgraded Oxford Industries from Buy to Hold. 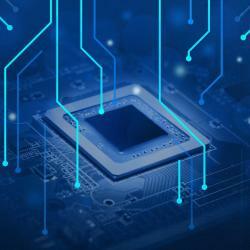 Cypress Semiconductor Corporation (NASDAQ: CY) fell 3.5 percent to $15.46. SunTrust Robinson Humphrey downgraded Cypress Semiconductor from Buy to Hold.